When the temperature dips into the 30’s you burn about 30% more calories than when hiking in mid 50’s temps. Your body has to stoke the furnace to keep you warm, hence the increased calorie burn. Tromping around in the snow also adds resistance, which also increases the calorie burn! You can build muscle. Women can tolerate cold better than men can because women typically have more bodyfat than men. We can utilize this fat as fuel and not use muscle. So not only are we torching calories and using fat as the fuel, we can build muscle with the resistance training from the snow. Lastly, one of the best benefits of hiking in the winter is that the trails are usually much less crowded. Trails are usually quiet and peaceful. It’s bliss! If you want to get outside and clear your head and get an awesome workout in too, then opt outside! 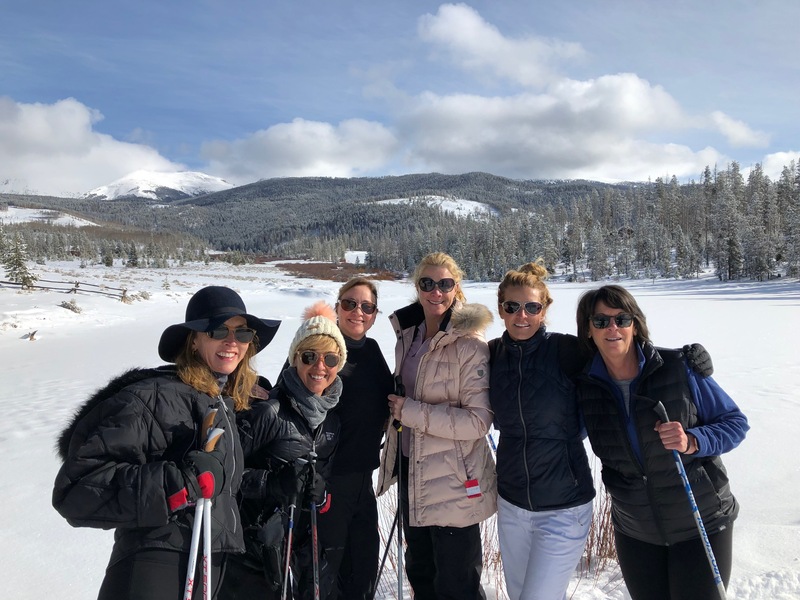 *These photos were taken at Devils Thumb Resort in Granby, CO. We all started with our coats on, then shed layers as we warmed up. On one particular day recently, the temp was 7 degrees and I still was shedding layers! 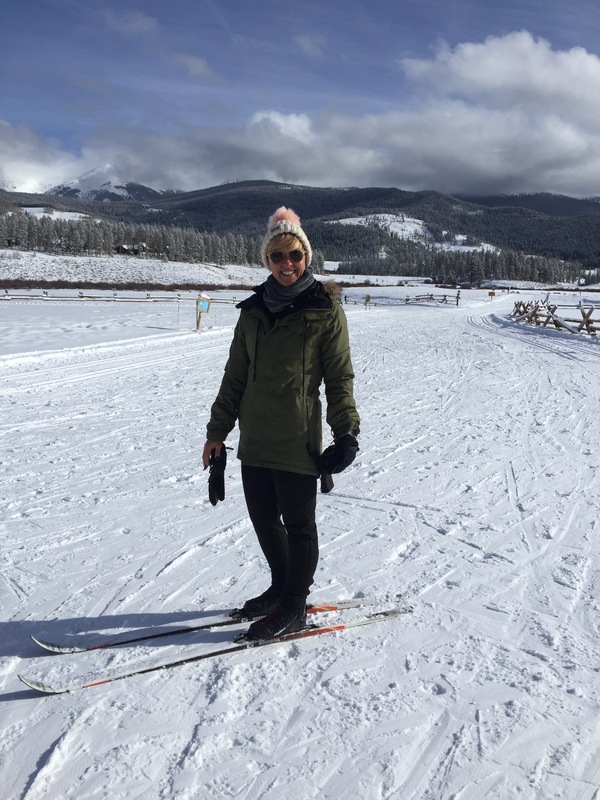 Whether it be hiking, snowshoeing or cross country skiing, you will enjoy the benefits and the beauty of these winter outdoor activities! This entry was posted in Fitness, Workouts and tagged crosscountryskiing, devilsthumbranch, hiking, outdoorfitness, outdoors, snowshoeing, winterhiking, wintersports. Bookmark the permalink.